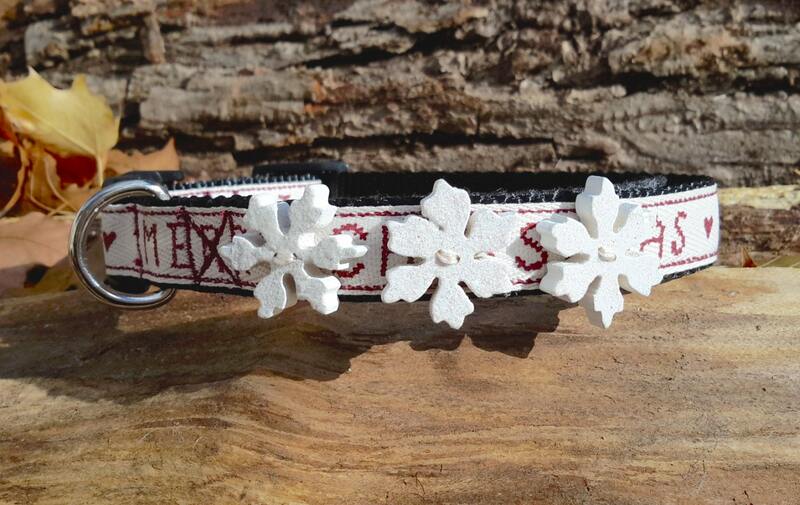 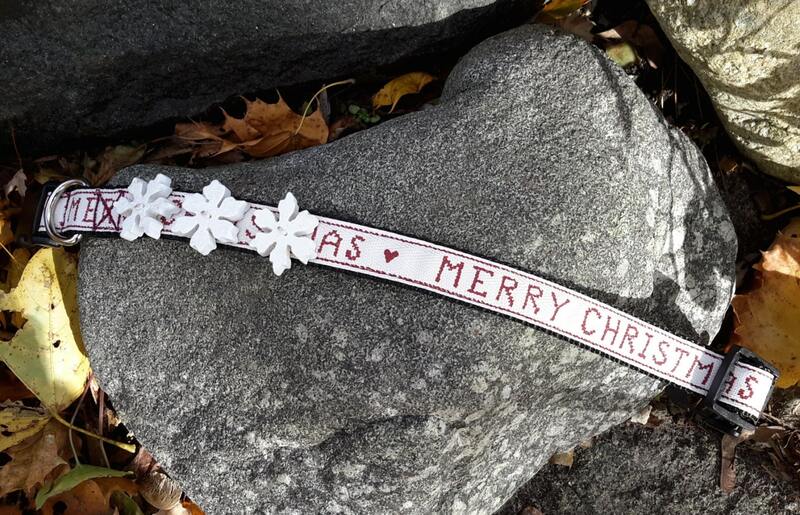 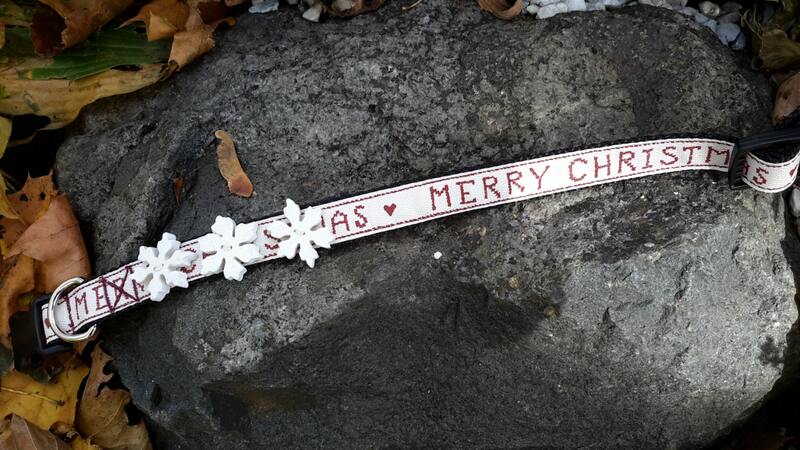 Your dog will show off his Christmas spirit in this festive Merry Christmas collar with wooden snowflakes! 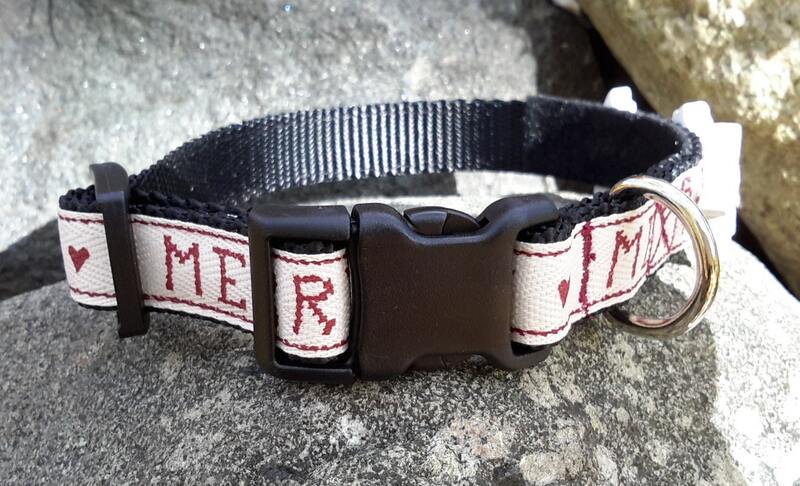 Rustic cotton ribbon is sewn onto strong 3/4 inch black nylon strapping for this adjustable small sized dog collar. 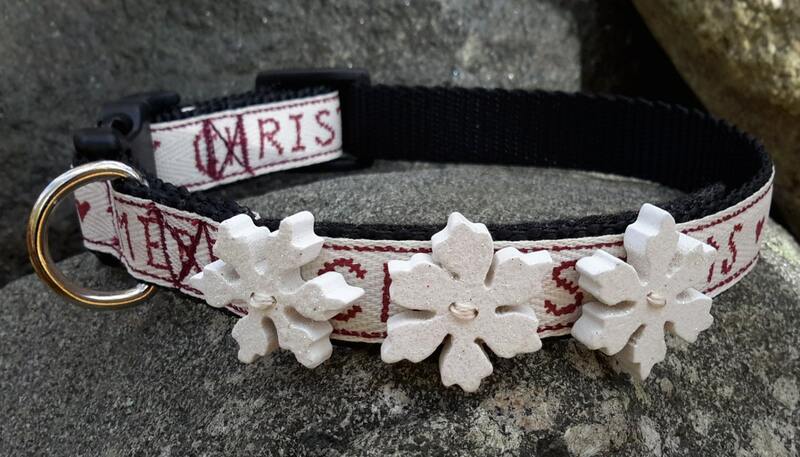 3 chunky wooden snowflakes are sewn onto collar and backed with black felt.